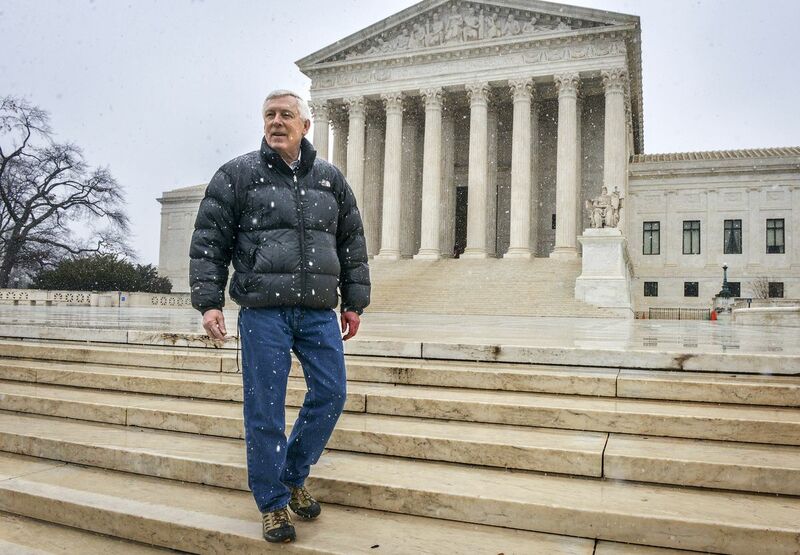 I was disheartened to read last week's opinion piece portraying the state's participation in the U.S. Supreme Court case of Sturgeon v. Frost as an attempt to reverse the wins for subsistence created by the Katie John cases. The opinion piece misrepresents the Sturgeon case and the administration's position. The Walker-Mallott administration is actively working in partnership with the Alaska Federation of Natives, Alaska Native corporations and tribes to preserve the rights that Katie John fought so hard for more than two decades ago. At the same time, the Sturgeon case directly affects Alaska's right to manage state waterways for the benefit of all Alaskans. It is not about one hovercraft. The amicus brief we will file on Aug. 14 protects the state's management rights while also seeking to preserve the subsistence rights established in Katie John. These are not inconsistent positions. The state is not a party to the Sturgeon case, but the administration and I believe both issues are of sufficient import to all Alaskans that the state's position should be heard and considered by the U.S. Supreme Court. At its core, the Sturgeon case is about a power grab by the National Park Service to stop the state from managing its own waters — and to prevent ordinary Alaskans like Mr. Sturgeon from using state waters for transportation and other essential activities. Everyone agrees the beds of navigable rivers in Alaska belong to the state, which should mean the state can set meaningful rules about use on a local level. But the Park Service seeks to upend state management and establish its own rules that could not only impact development projects, but also fishing, hunting and transportation. Unfortunately, a decision from the 9th Circuit Court of Appeals supporting the Park Service's expansive authority over Alaska's waters relied — erroneously, in our view — on the doctrine underpinning the Katie John case. At Mr. Sturgeon's request, the U.S. Supreme Court agreed to review — and hopefully overturn — the 9th Circuit's decision. Because of the 9th Circuit's reasoning, a decision from the U.S. Supreme Court could implicate Katie John despite the fact that subsistence has never been an issue in the case. We will argue for the U.S. Supreme Court to leave Katie John in place — we know how important subsistence is to Alaska. This is also why Gov. Bill Walker and Lt. Gov. Byron Mallott tasked us with seeing if these issues could be resolved outside of litigation. Our efforts began this past winter working closely with the Alaska Federation of Natives, John Sturgeon, tribal interests and our congressional delegation to amend the Alaska National Interest Lands Conservation Act to preserve subsistence rights and also preserve state authority over Alaska's waters. Regardless of what happens in the Sturgeon case, the Walker-Mallott administration remains committed to pursuing legislative solutions to ensure subsistence rights are upheld. And subsistence is only one of many areas where this administration has worked to redefine Alaska's relationship with tribes and sat down with tribes, industry and stakeholders to find solutions. As Attorney General, I have been directly involved in issuing an Attorney General Opinion on tribes' status as sovereigns, working with the governor's Tribal Advisory Council on various public safety and other concerns, and negotiating the Alaska Tribal Child Welfare Compact. The prior opinion piece seems to gloss over all of these efforts, which illustrate Gov. Walker and Lt. Gov. Mallott's commitment to protecting Alaska Natives' way of life, including subsistence. It is difficult to explain the issues in Sturgeon and the Katie John cases in an opinion piece before our amicus brief has been filed, but I felt it was important to respond quickly. I would encourage anyone who is interested in these issues to read our brief after it is filed next week to get a full understanding of the case, its potential impacts and our position that Katie John should not be affected by the court's decision. Jahna Lindemuth is the Attorney General for Alaska.